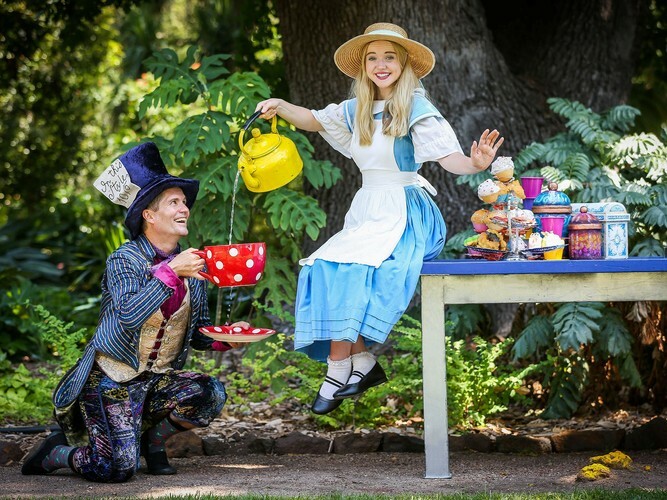 Lewis Carroll’s much loved classic Alice in Wonderland is coming to life again these Summer holidays in the beautiful surrounds of Rippon Lea House and Gardens. Join Alice as she goes down the rabbit hole and follows the White Rabbit into the magical world of Wonderland. She’ll get taller and smaller, dance with the Dodo, talk with a Caterpillar, have tea with the Mad Hatter, and battle the Queen of Hearts. With riddles and rhymes, singing, dancing and even acrobatics, there’s lots of fun participation for everyone. The audience will even play croquet with the Queen of Hearts – or it’s off with their heads! This captivating promenade-style children’s production has been performed to sell out audiences in Australia and overseas, and is a delight that will keep the whole family enthralled.